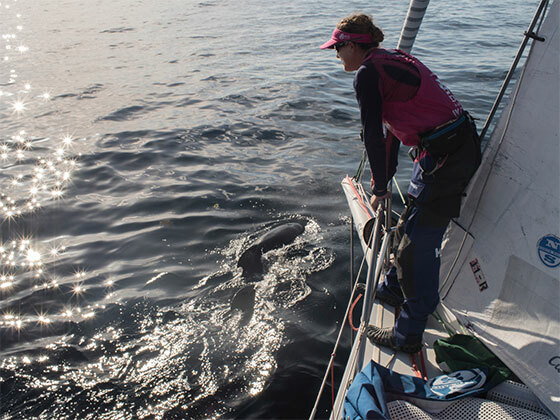 Team SCA having a whale of a time heading for Atlantic. Libby Greenhalgh took her courage in her hands and split with the rest of the Volvo Ocean Race fleet approaching the Straits of Gibraltar - and it briefly left the women of Team SCA in a good lead as they entered the Atlantic on Monday. 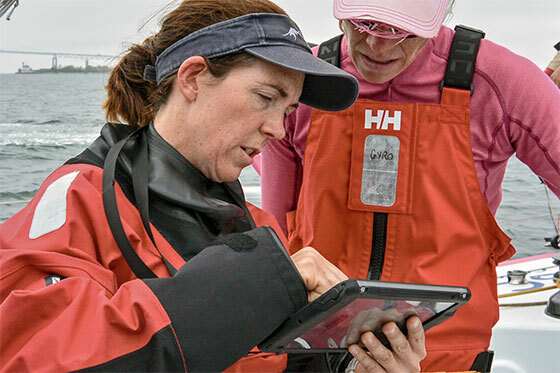 The Team SCA navigator has made her reputation as a skilled meteorologist but she still wondered if she had made the right call when she ordered the magenta boat to go north when the other 55 sailors went south. "Everyone except us were going the southerly route through the Straits and for the life of me, I couldn't figure out why," said the Briton. "We wanted to stay with the fleet but we also wanted to stick with our plan - and our plan has us sailing north." The crew had to wait four hours after their tactical gamble for their next position report - and found that they were sitting pretty, some 21 nautical miles clear of their rivals. 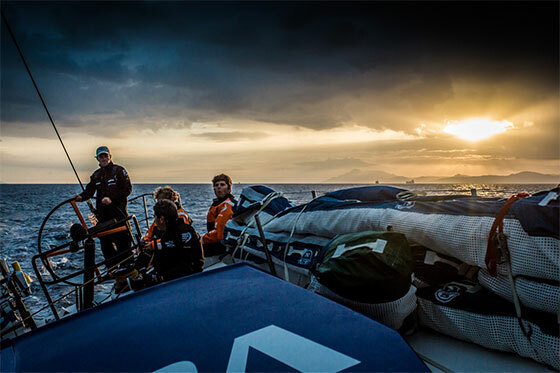 "The team collectively hooted and hollered for joy as Libby told us we were ahead," related their onboard reporter, Corinne Halloran. "Our risk paid off big time and we are now officially sailing in the Atlantic Ocean." By midday CEST (10:26 UTC), however, the rest of the fleet had made up for lost time and were again bunched up in a 14-mile spread from first, Team Vestas Wind, to last, MAPFRE. By this time, Team SCA were fifth. All of the fleet, were sailing at around 10 knots. It had been a memorable 24 hours for Team SCA who enjoyed having an enthusiastic spectator fleet join them as they sped through the Mediterranean - a pod of pilot whales. 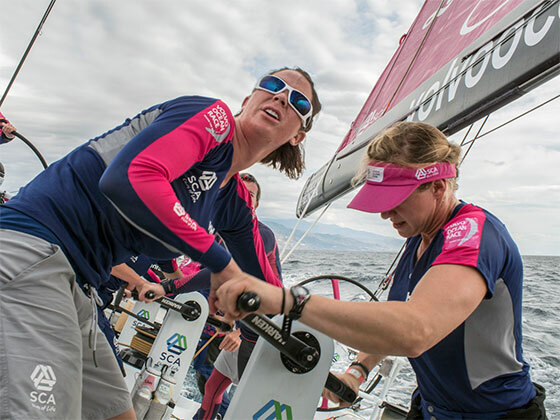 Team SCA's onboard reporter, Corinne Halloran, picked up the story. "During a particular light wind moment, seven (or more!) whales came to say hello and play with our bow much like dolphins do," she related. "They came so close, Stacey (Jackson) reckons she could have touched them. ‘I've never seen anything like this,' Stacey said as the whales swam alongside for a good five minutes."